Diabetes is a disease that means the body is unable to properly regulate its glucose metabolism. Glucose is typically metabolized by insulin, a hormone created in the pancreas. There are two types of diabetes, insulin resistance (Type 2 Diabetes, which is more common in cats, and the inability to create insulin (Type 1 Diabetes) which is most common in dogs. Type 1 diabetes is caused by the inability to create enough insulin. In Type 1 diabetes, the pancreas becomes damaged by either inflammation, or the dog’s own immune system attacking it. The result is a shortage of insulin producing cells in the organ, which is irreversible. 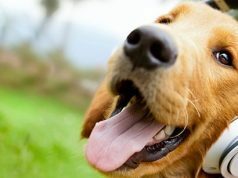 Consequently, diabetic dogs are very unlikely to go into remission. The most common symptoms of diabetes in dogs is increased thirst and urination. 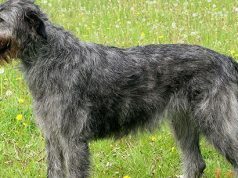 This is caused by the glucose becoming too concentrated in the dogs bloodstream. Drinking more water helps to dilute the glucose. 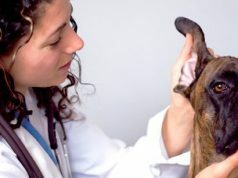 However, there are other medical conditions that can also cause your dog to drink more than usual, such as kidney or liver disease or Cushing’s Disease. Your vet will run some tests to check for diabetes; they will look for higher than normal levels of glucose in his blood and urine. In both types of diabetes, the treatment is to supplement that insulin with injections of the hormone. The first step is to work out how much insulin your dog needs. 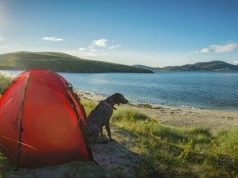 Your dog will be admitted to hospital and given a measured dose, and then his blood will be checked at regular intervals to assess his response. When the amount of insulin he needs has been calculated, you can then continue to treat him at home. It’s not difficult to learn how to give insulin injections, and the needles are so fine that your dog will barely notice them. It’s important that your dog’s energy needs are kept constant. This means that the are given the same amount of exercise, because more or less than usual will affect how much insulin they need. Similarly, their food intake should also be the same from day to day, both in quantity and the timing of their meals. If you can do this, then it will be easier to keep their blood glucose within normal limits. 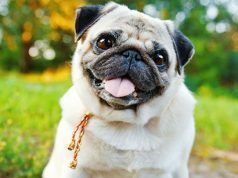 Overweight dogs should be put on a restricted calorie diet, as weight loss can make it easier to regulate blood glucose. The hormone progesterone can raise blood glucose levels and make it difficult to stabilise a diabetic dog, so entire females should be spayed. There are a number of prescription dog foods that can help with this process if your veterinarian recommends them. Most diabetic dogs will develop cataracts in their eyes, and this will affect their vision. However with a few adaptations, they can still have a good quality of life. 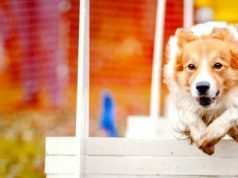 There are two emergency situations that can occur in your diabetic dog. Hypoglycemia. This occurs when his blood sugar drops too low, either because he has been given too much insulin or he hasn’t eaten all of his food. Symptoms are trembling and weakness, and some dogs even have seizures. Emergency treatment is to rub some glucose syrup or honey on his gums, which will quickly increase his blood glucose. Most dogs quickly recover after this, but it’s still worth having them checked by your vet. Diabetic ketoacidosis. Insufficient insulin will lead to your dog metabolising his body fat to provide energy. The by-products of this metabolism are chemicals called ketone bodies. They have a distinctive odour, like nail polish remover. Affected dogs are lethargic, vomiting and off their food. 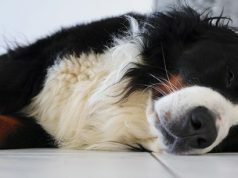 Diabetic ketoacidosis often occurs before your dog is diagnosed with diabetes, because their pancreas isn’t producing enough insulin, but it can also happen if his diabetes isn’t well managed and his insulin dose is too low. 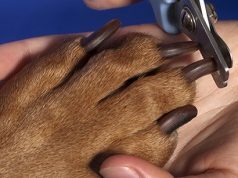 This is a real emergency and your dog needs urgent veterinary treatment. There is no cure for diabetes in dogs. However, with a committed owner, the disease can be managed well. 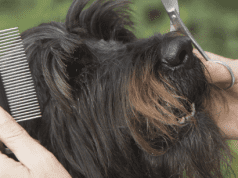 This will allow your canine best friend to enjoy most of his normal daily activities. 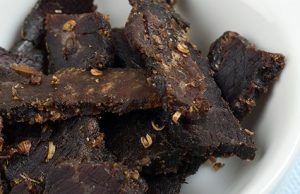 Jerky is a great treat for training and very cheap to make at home. Many of the commercial treats contain preservatives and artificial ingredients.